Celtek abides by one law: The Six-Inch Rule. If six inches of fresh snow has been delivered, you drop everything to go ride with your buddies. To get the most out of those kinds of days, Celtek produces the best gloves and headwear so you can effectively live by their rule as well. Created to mesh the lives they live into the gear they use on the regular, Celtek has taken this simple idea and strengthened the bond between passion and practicality. Celtek headwear, Celtek snowboard gloves, and Celtek ski gloves are all a family with a common dedication. They are eager to do whatever it takes to make sure you get fresh tracks in pristine snow. Each piece is built for the kind of rider who doesn’t hold back when it comes to powder days, so whether you are snagging first chair or ducking ropes, Celtek gear is all about pushing the next level of progression and fun in the fluffy stuff. Founded in Salt Lake City, UT by Bjorn and Erik Leines, Celtek derives from a discrepancy the guys encountered. They found that their intense love of snowboarding was not matched by a high quality glove that could keep up with the kind of riding they enjoy most. So, the Leines boys set out to develop gloves that could not only withstand all kinds of conditions, but could also excel even after being used triple digit days a year. The guys have brought onboard some of the studliest shredders you can find in order to help with designing, developing, and testing their gear in order to get it perfectly dialed in. While passion may be an inspiration, technology and innovation are driving factors for this brand. Celtek snowboard and ski gloves are equipped with some of the most seriously high tech stuff, like OutDry, in order to keep your hands powerfully protected. OutDry is like the Ferrari of waterproofing because it not only deflects snow, wind and rain, but it also insulates while remaining highly breathable. They have even developed specialized touch screen friendly gloves that let you mess around with your phone while your paws stay nice and cozy. 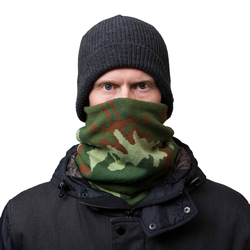 Celtek headwear includes some intense facemasks to keep your mug defended from Mother Nature’s fury. Models like the Diamond and Heist are composed of a breathable microfleece that will keep the wind from annihilating your face, and stop snow from shooting up your nose. Celtek is completely committed to being the best at what they do, so that you can be at your best as well. By building a heritage based on quality, and collaborating with top athletes and artists to forge a bright future, the path for Celtek looks unsurprisingly like a wide open powder field.